Dual Redundant DC or AC power inputs options. Supports ERPS for sub 50ms RING failover. 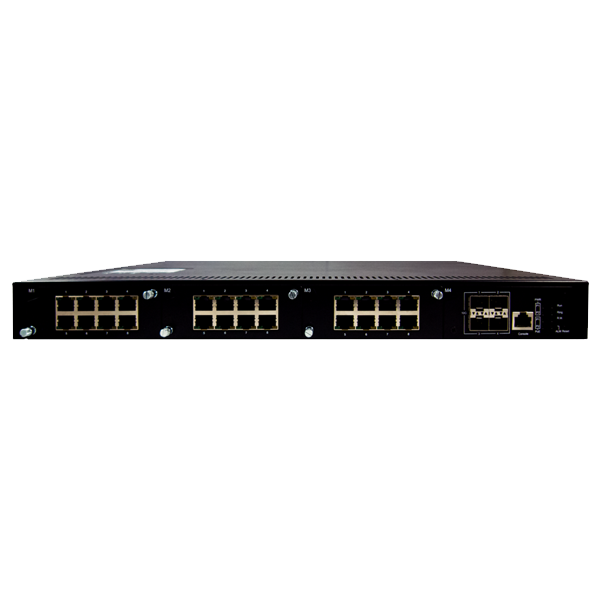 Designed with 4 x 100/1000Base-T ports and 1 x 100/1000BaseSFP slot to suit a range of devices and network layouts. The tough housing has been created to keep your network protected and reliably rugged. 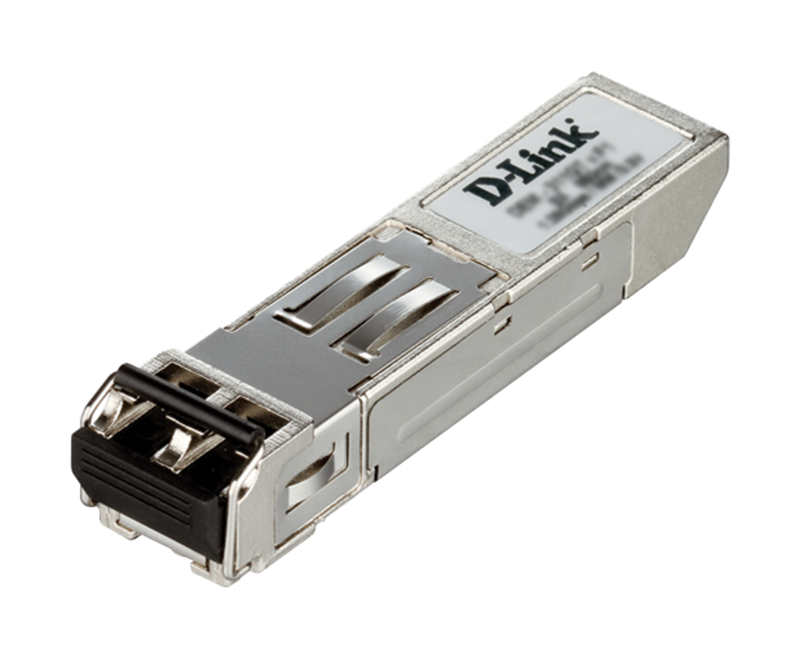 That�s why every DIS-switch comes with a 5-year D-Link warranty. Plug in and go. 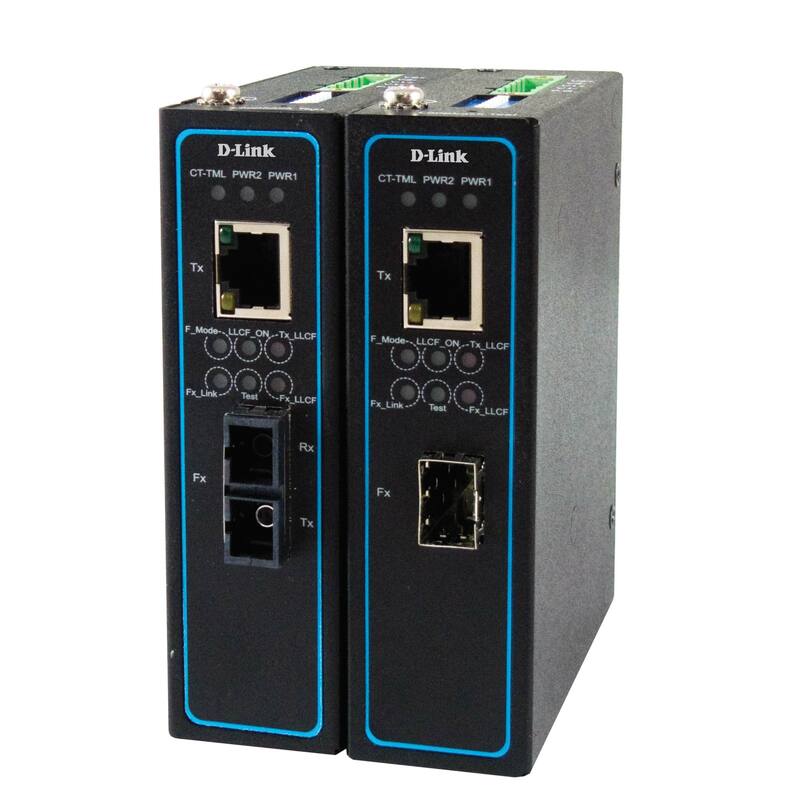 The DIS-100G-5SW reliably forwards Ethernet frames. Store & Forward, Non blocking / Wire speed switching architecture. ERPS for sub 50ms Ring failover, suitable for surveillance applications. Layer 2 Gigabit Modular Switch with 4 1G SFP Ports & 3 open slots for 8 Gigabit Port Interface Modules. Single 110~220 VAC Power supply. -40° C to 75° C operating temperature. Layer 2 Gigabit Modular Switch with 4 1G SFP Ports & 3 open slots for 8 Gigabit Port Interface Modules. Dual Redundant 110~220 VAC Power supply. -40° C to 75° C operating temperature. Layer 2 Gigabit Modular Switch with 4 1G SFP Ports & 3 open slots for 8 Gigabit Port Interface Modules. Dual Redundant 48~57 VDC Power supply. -40° C to 75° C operating temperature. Layer 2 Gigabit Modular Switch with 4 10G SFP+ Ports & 3 open slots for 8 Gigabit Port Interface Modules. Single 110~220 VAC Power supply. -40° C to 75° C operating temperature. Layer 2 Gigabit Modular Switch with 4 10G SFP+ Ports & 3 open slots for 8 Gigabit Port Interface Modules. Dual Redundant 110~220 VAC Power supply. -40° C to 75° C operating temperature. Layer 2 Gigabit Modular Switch with 4 10G SFP+ Ports & 3 open slots for 8 Gigabit Port Interface Modules. Dual Redundant 48~57 VDC Power supply. -40° C to 75° C operating temperature. 8 10/100/1000 Base-T Ports Interface Module. 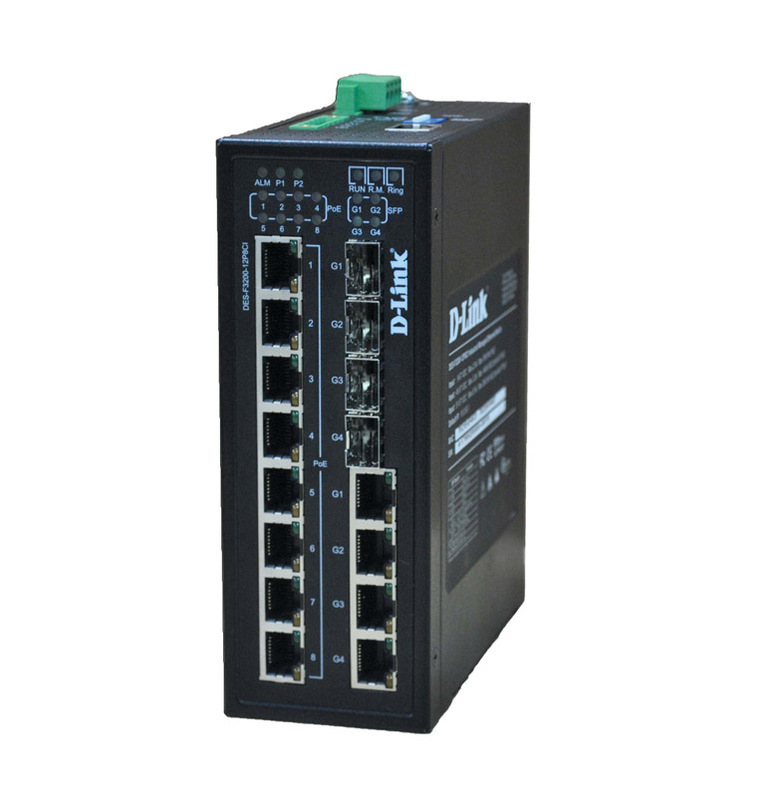 8 10/100/1000 Base-T PoE / PoE+ Ports Interface Module. 8 100/1000 Base-X SFP Ports Interface Module. Copyright © 2012-2018 D-Link India Limited.